Fantich & Young created 'apex predator' for young girls. 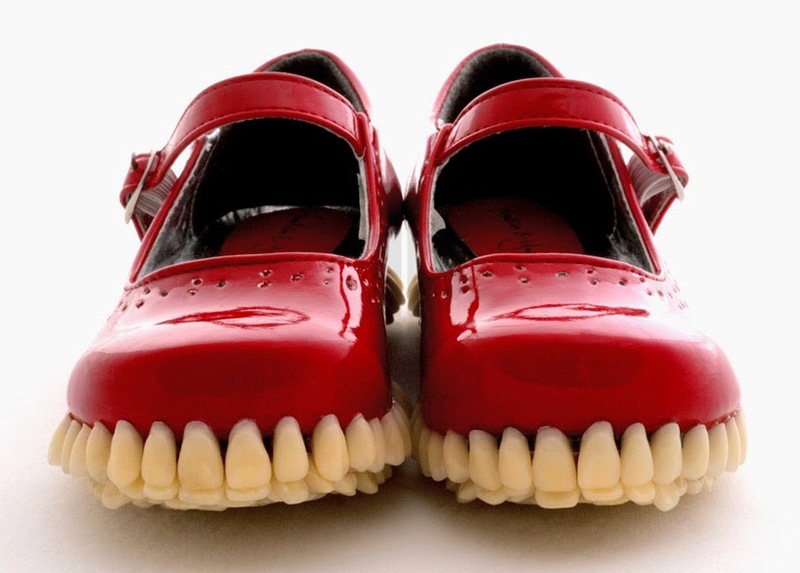 Bright red shoes for girls with teeth dentures instead of a rubber sole. 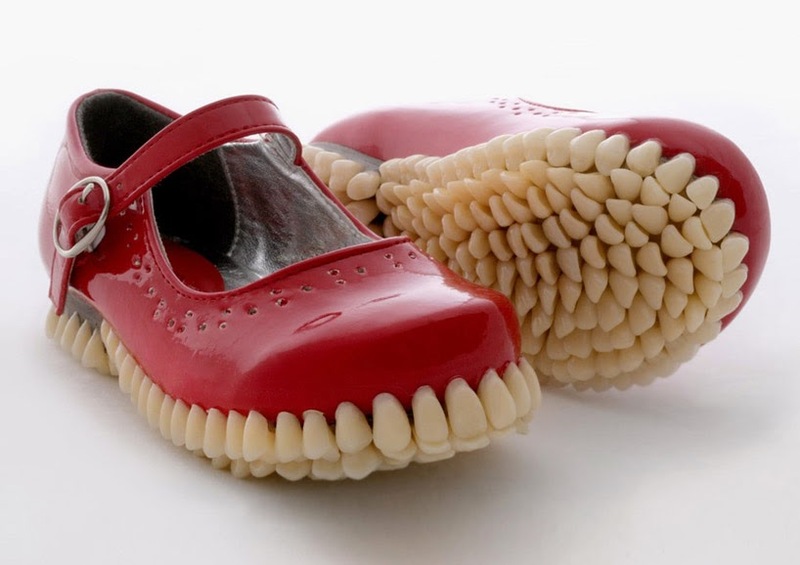 Beware the tooth fairy!! Do they also have them in my size? Want!